FLX sets the performance standard for light duty water discharge. Conventionally extruded rubber hose can vary in thickness, creating excess bulk and weight. But FLX is different by design: The cover is inserted inside the tight-weave reinforcement, vulcanized, then turned inside-out. 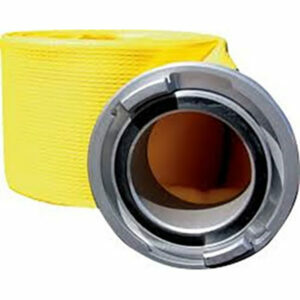 The liner is then inserted and the hose is vulcanized for a second time, forming a permanent bond of all three plies–guaranteeing a consistent and compact hose wall. FLX sets the performance standard for light duty water discharge. Conventionally extruded rubber hose can vary in thickness, creating excess bulk and weight. But FLX is different by design: The cover is inserted inside the tight-weave reinforcement, vulcanized, then turned inside-out. 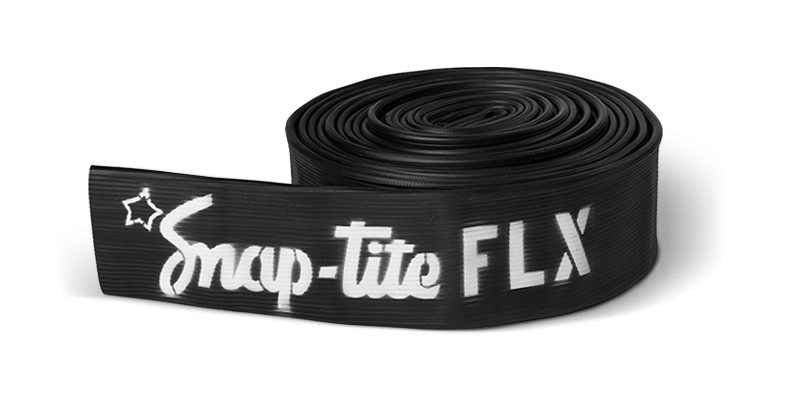 The liner is then inserted and the hose is vulcanized for a second time, forming a permanent bond of all three plies–guaranteeing a consistent and compact hose wall. 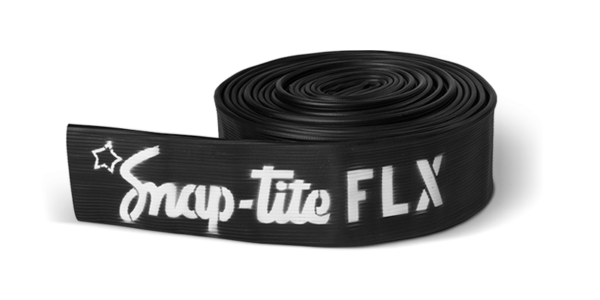 The result is an exceptionally strong and tough hose with a lay-flat design that makes FLX easy to deploy and store. Agile. 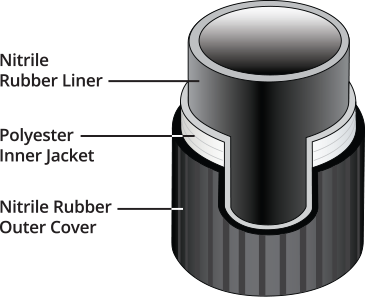 Ribbed nitrile rubber cover lowers drag force. Greater Flow. Smooth liner keeps friction loss to a minimum. Rugged. Nitrile rubber cover increases resistance to abrasion, oil, fuel and a wide range of chemicals. Flexible. 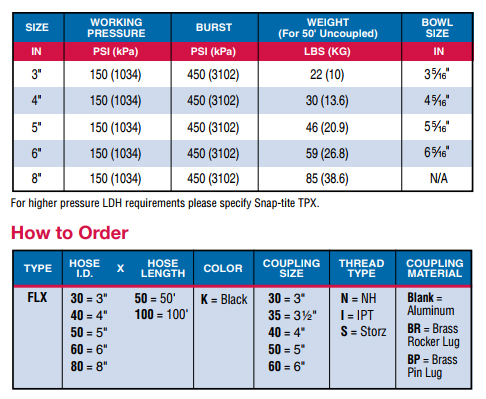 Hose remains flexible to temperatures as low as -5°F (-20°C). Certified. Manufactured within our ISO-9001 certified quality assurance system.